Installing a gas stove and/or cooktop into your home can provide a convenient and more efficient cooking appliance for your family. However installing a gas stove and/or cooktop in your home can be very complicated, especially if you are upgrading from an electric stove/cooktop. In order to install a new gas stove/cooktop you need the proper gas line running to where you are going to install the new appliance. To abide by regulations and to keep yourself and your family safe it is important to have a professional and licensed gas fitter install the gas line for you. Let the experienced Calgary gas fitters at Lone Star Plumbing and Heating install your stove gas line. We have experience installing gas lines no matter the type of home or where you are planning to install the gas range/stove in your home. 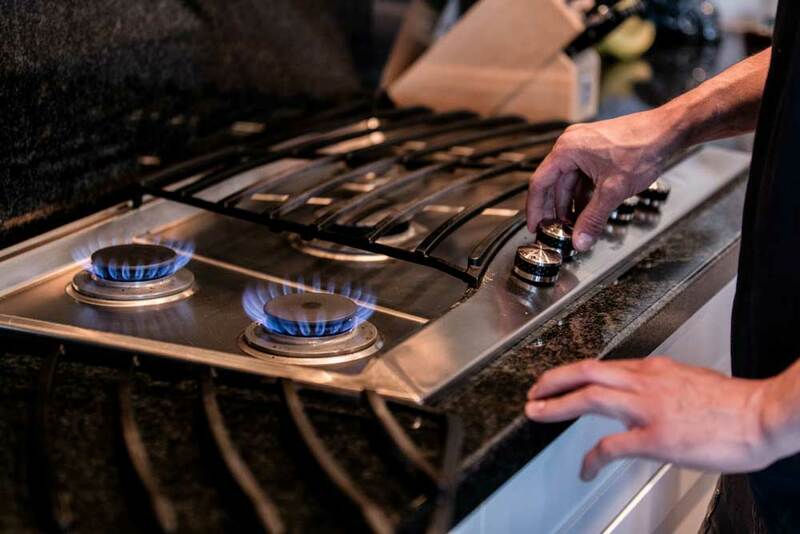 If you are still considering whether or not it is worth it to install a new gas line in your home for a new gas stove and/or cooktop, there are multiple reasons as to why a gas stove and cooktop are more convenient than their electric counterparts. A gas stove heats quickly, as soon as you ignite the flame on the range the stovetop gives you instant heat. A gas stove also makes it easy to control the temperature of the stovetop with precision, and when you turn the flame off the food can stay on the range without worry of burning since the range cools quickly. Gas ranges and ovens also save you money since they use less expensive natural gas. Natural gas is relatively inexpensive and clean burning so in the long run you save money by using gas rather than electricity to cook your food. If you have decided that it is time to upgrade to a gas stove and/or cooktop and need a gas line installed we are ready for the job. Our experienced Calgary gas fitters can install the gas line you need so you can properly install your new stove/cooktop.